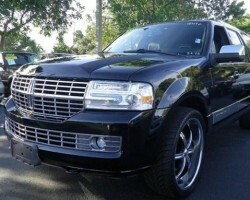 R&R Limousine is a Lexington limo service that takes their customer service and assistance very seriously. For fair rates, you can choose which kind of vehicle you would like to pick you up and have a professional chauffeur come to you at just the right time. 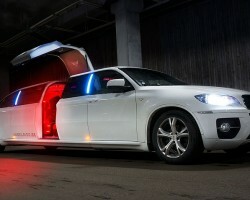 You will feel safe and relaxed as you are taken to your destination in style. Arriving to any occasion in a meticulously maintained limo will make you feel even more special and ready for a grand entrance. 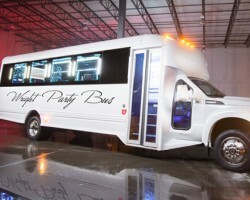 With all of the pressures that go along with planning and executing a wedding day, Wright Party Bus doesn’t want your transportation to be one of them. This company offers limo rentals in Lexington, KY for a variety of events, including weddings, high school dances, bachelor parties and so much more. For reasonably cheap prices you will be able to hire a vehicle from this company and an expert chauffeur to drive you to and from your destination safely and promptly. AJS Limousine Service is a company that offers everything from 15 passenger prom limos to 10 passenger wedding party transportation and so much more. This company has been a top limo service in Lexington since 1992 and the have helped countless happy customers get where they need to be and get them there on time too. You can even make special requests about what kind of refreshments you would like or any decoration in the vehicle to make your ride even more special. One of the main reasons to work with Superior Transportation over other limo companies in Kentucky is that this company has a fleet with variety. 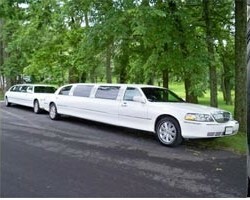 You can choose to rent a town car for a more discrete ride or opt for a beautifully maintained stretch limo. In each instance, the car will come freshly cleaned and with a professional chauffeur that knows exactly where you are going and the best route to get you there on time and relaxed from the drive. 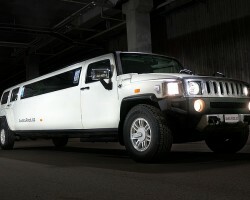 Premier Limo is a company that has a limousine for every occasion. Whether you would like luxurious airport transportation or would like a beautiful ride for wedding day transport, this company has a pristine vehicle for you. You can choose to either have the six, eight or ten person limo. Each one comes complete with mini bar services, stereo and CD player as well as a TV and a highly qualified chauffeur to make the experience as relaxed and enjoyable as possible.